Awareness campaigns for cancer tend to be (most often) developed by and for adults, but what happens when the tables are turned and the younger generation is the one creating the message for their peers and communities? 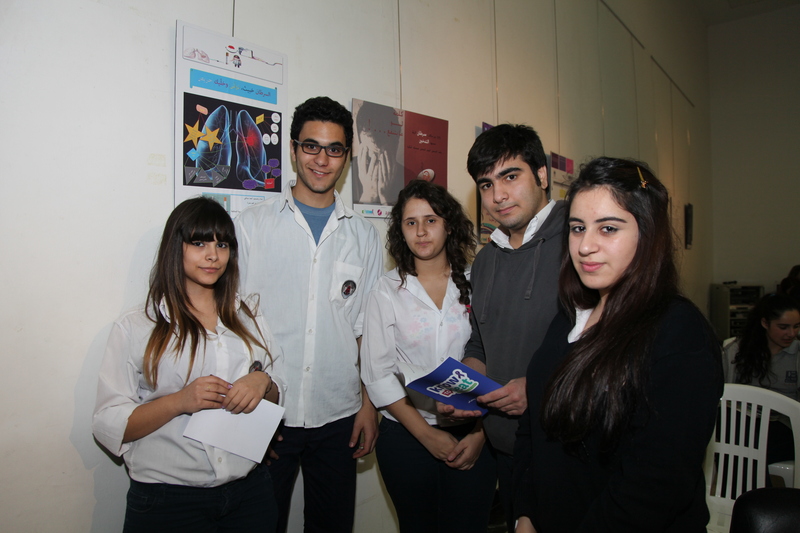 That’s what Know to Beat is all about and it is from that base that we teamed up with the Faireface Association, May Jallad Foundation and Lebanese Breast Cancer Foundation (LBCF) to develop a cancer awareness competition that would bring in the creative talents of 15 public schools from the Beirut district. 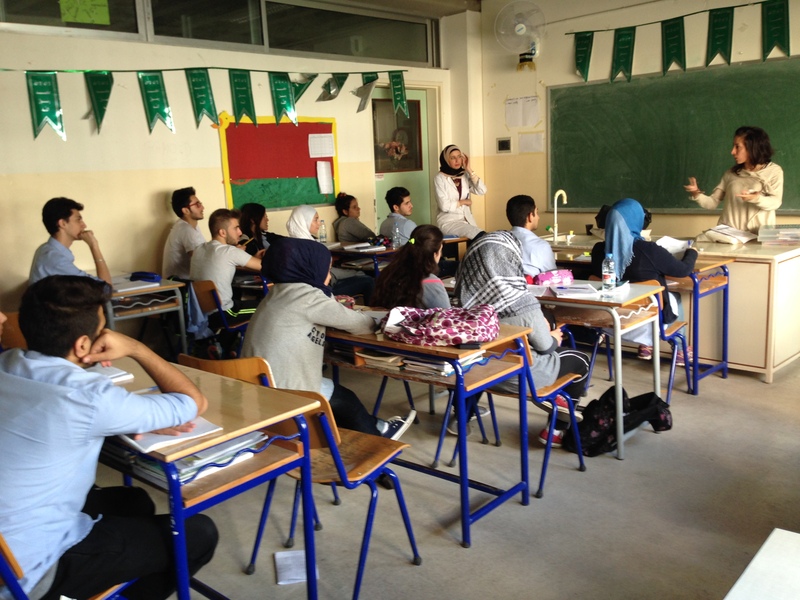 With the support of the Ministry of Education and the Ministry of Health, we began our journey in the Fall of 2014: preparing for the competition and visiting the schools to introduce them to the project. 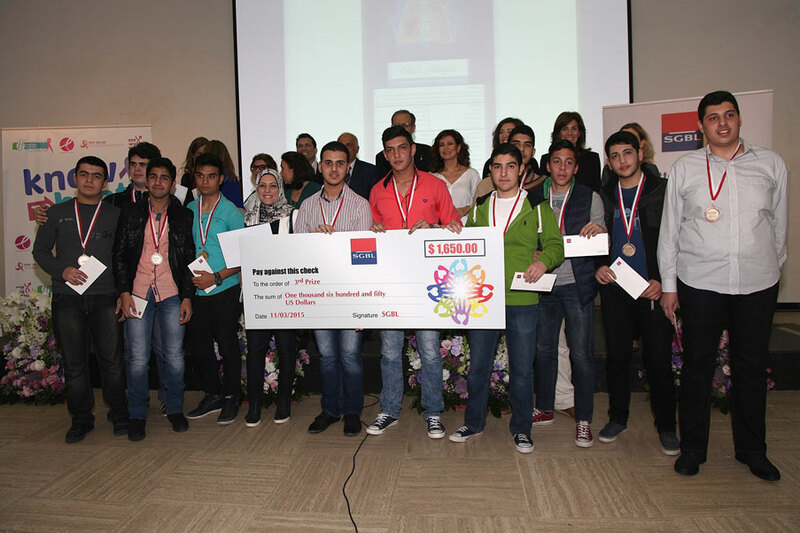 Each group of students from the schools had a choice of one of five cancers: breast, cervical, lung, skin and testicular cancer – cancers that are not only common in Lebanon, but that would be of interest for the youth to focus on.The students taking part would have to learn more about cancer and its prevention methods by conducting their own research (we provided some helpful links to get them started here), interviewing specialists and then developing campaign materials (a poster, flyer and short movie) to spread awareness to their community. When we first started visiting the schools, we noticed that the majority of the students didn’t know much about cancer, but that didn’t discourage them from taking part nor did they shy away from the subject. On the contrary: the taboo that often comes with the disease didn’t affect them and they were determined to develop the best project possible. Teamwork among the students was also very evident during the process. The students divided themselves up to each work on a different part of the project. At Amir Shakib Reslan School, for example, one of the students volunteered right away to direct the video his team would submit because he has a passion for filmmaking and would like to pursue it as his future career. 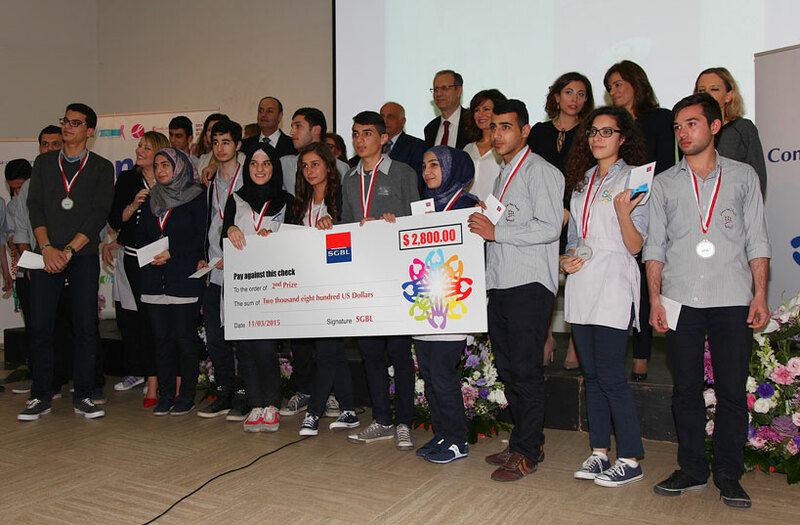 Each group (consisting of 10-15 students from each school) had around three months to work on their projects and submit the campaign materials for evaluation by a carefully-assembled jury. Once we started receiving the submissions, the enthusiasm was at its peak – we couldn’t wait to see what the students had come up with! It was interesting to see that 60% of the schools (9 schools) had chosen to focus on lung cancer, followed by cervical cancer (3 schools), breast cancer (2 schools) and testicular cancer (1 school). None of the schools had selected to work on skin cancer awareness. The high number of schools choosing to shed light on lung cancer reflects a real concern for the increasing number of people smoking – among the youth and otherwise. The reason for each school’s choice varied. 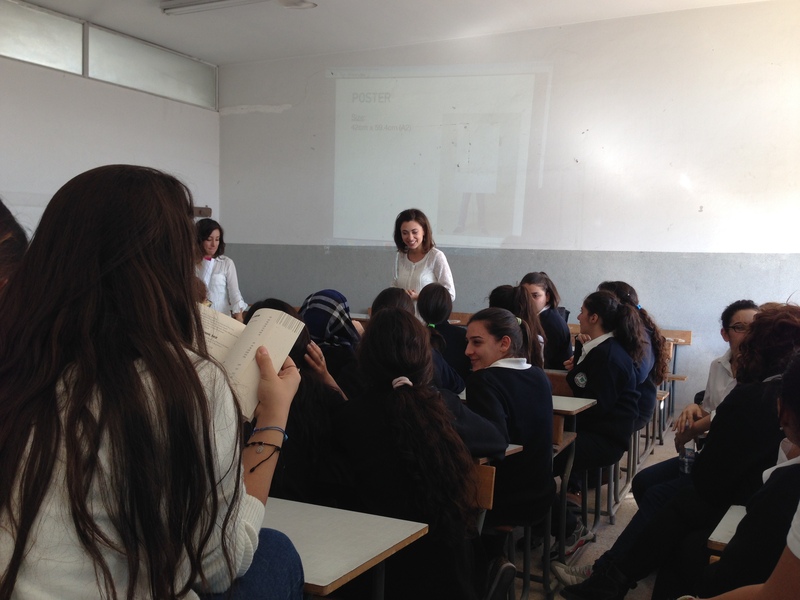 Second Achrafieh Public School chose testicular cancer: a choice interestingly made by the girls in the group in order to raise awareness to boys and the men in their life. Laur Mghayzel Public School for Girls opted for cervical cancer instead of breast cancer because there isn’t enough awareness on this issue that affects all women – whether its a mother, daughter or grandmother. For others, the project had a personal significance for the students, such as at Jamil Rawas High School, that dedicated their project to a beloved teacher who had passed away from lung cancer. Last Wednesday (March 11th), the winners of the top projects were revealed and they received their prizes at a special ceremony. Upon entering the hall at Unesco Palace, you could instantly see the eagerness of the students. They were all (rightfully!) proud of their projects hanging along the walls, taking photographs of each other, reminiscing on the process among each other and sharing a laugh. And the winners were.. cue the drumroll please! Click on the image to watch their video online. The reactions – from the students to the principal and teachers – was truly priceless! It’s very rewarding to see how this project had such a positive impact on all those involved. This adorable little model made an appearance to support her school – who ended up winning first place! 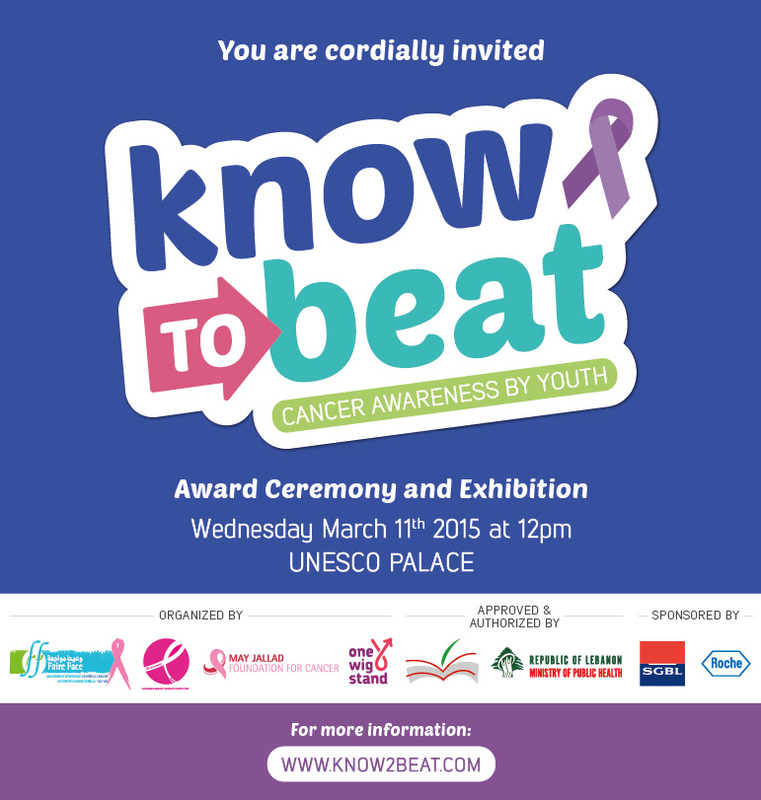 Actively involving the youth in such preventative healthcare helps eliminate the taboo that comes with cancer at an earlier age while also spreading awareness to their surrounding in an engaging way. The creativity and dedication demonstrated by the students that took part is very promising to a brighter, cancer-free future. Lemonista: A Breast Cancer Awareness Booth with a Zesty Twist!